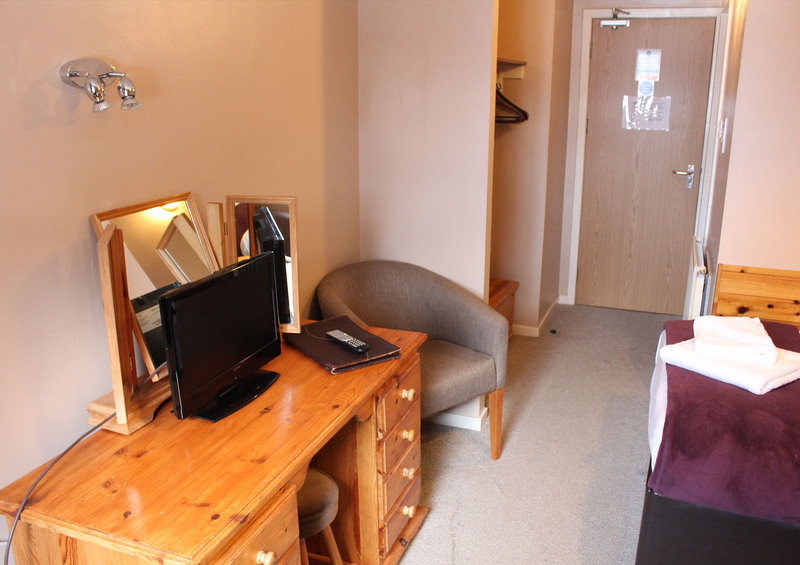 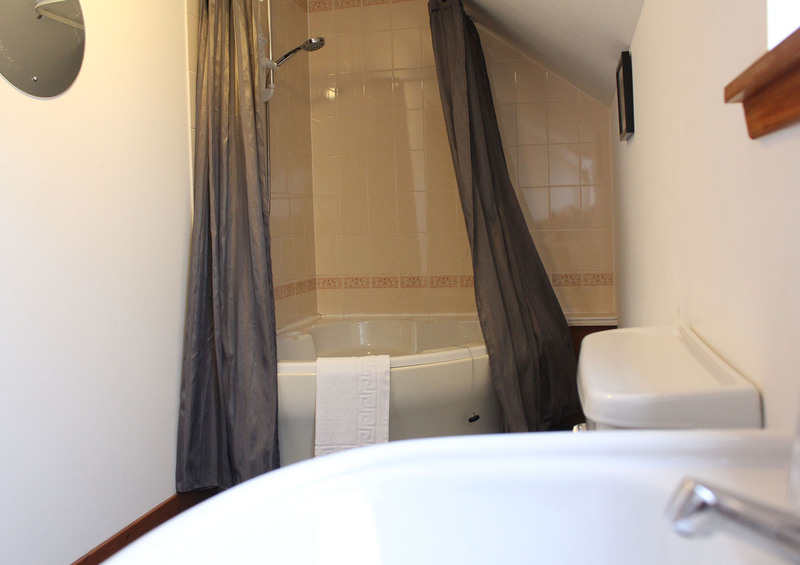 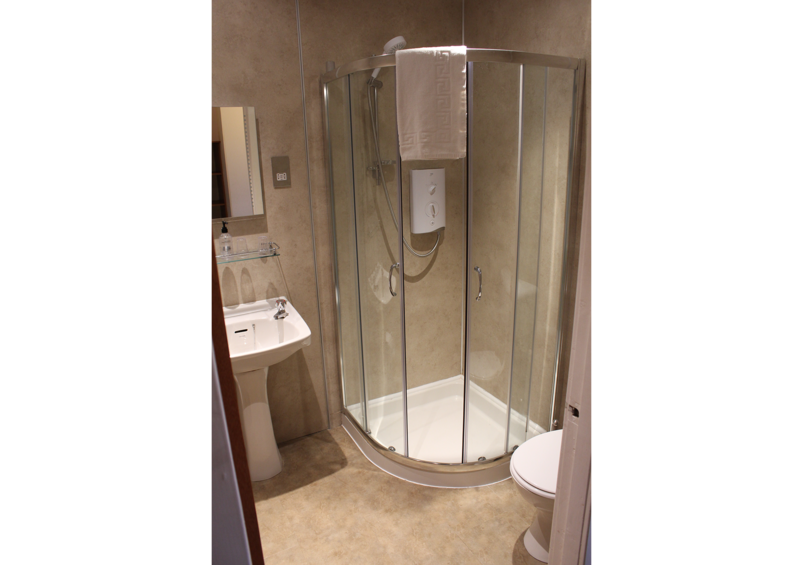 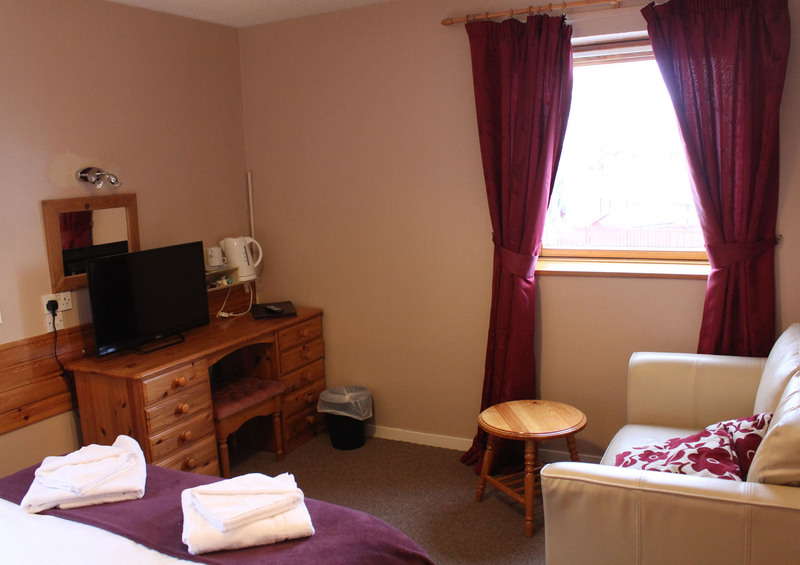 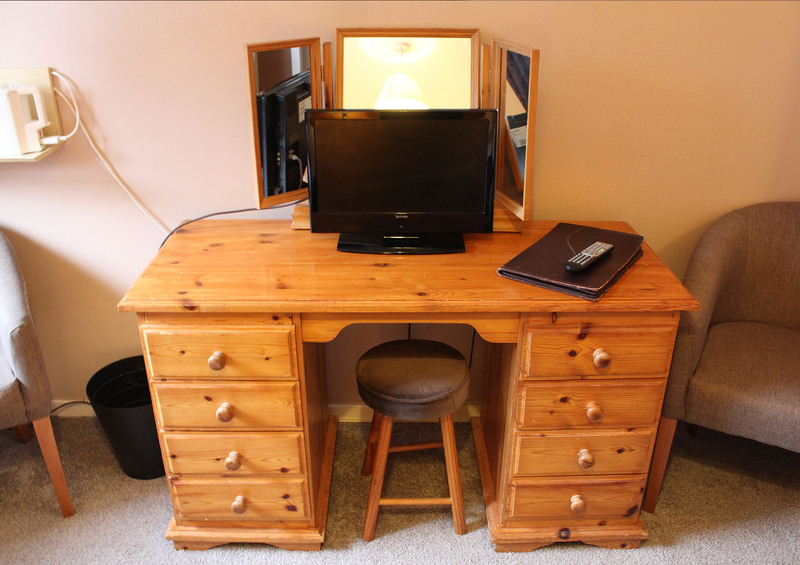 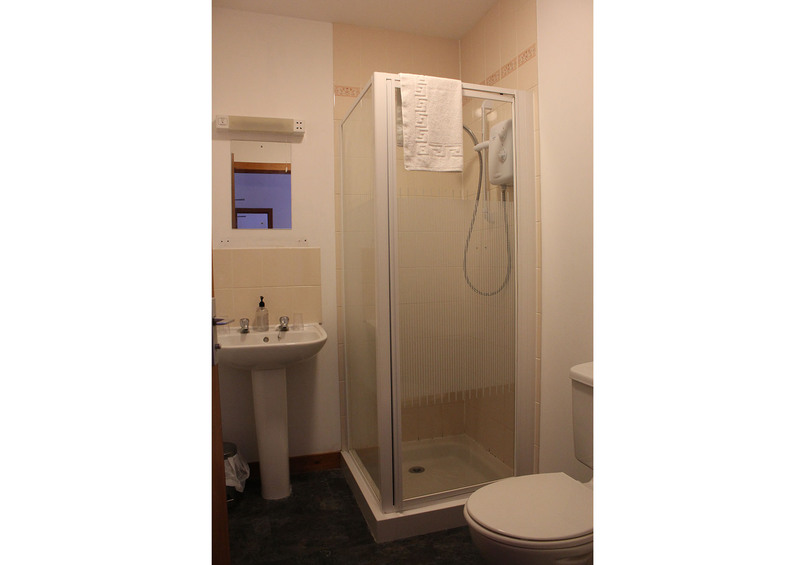 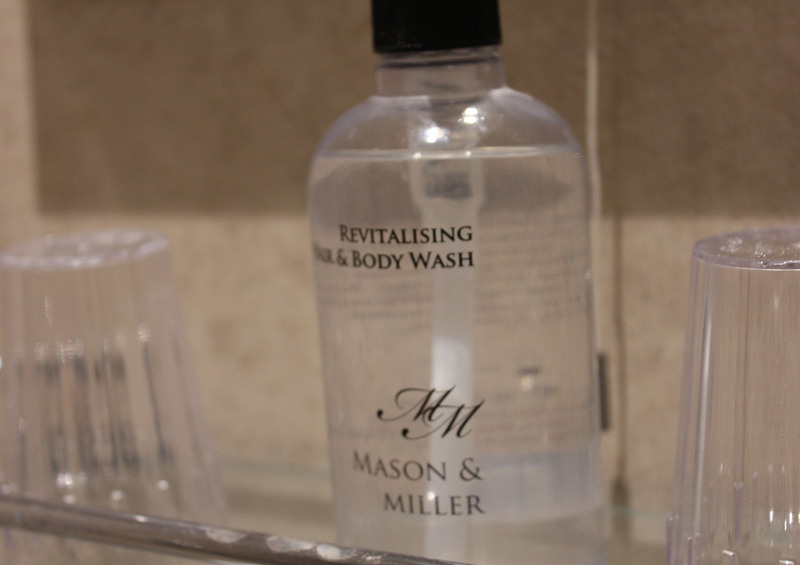 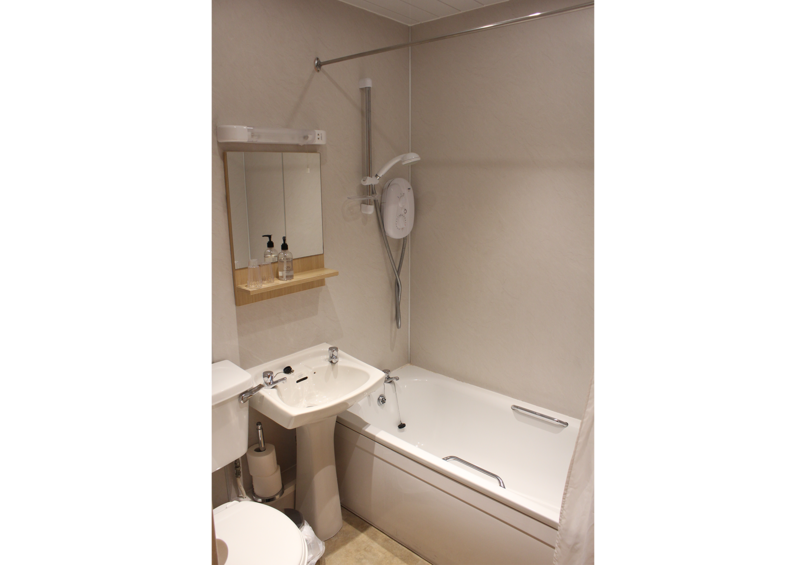 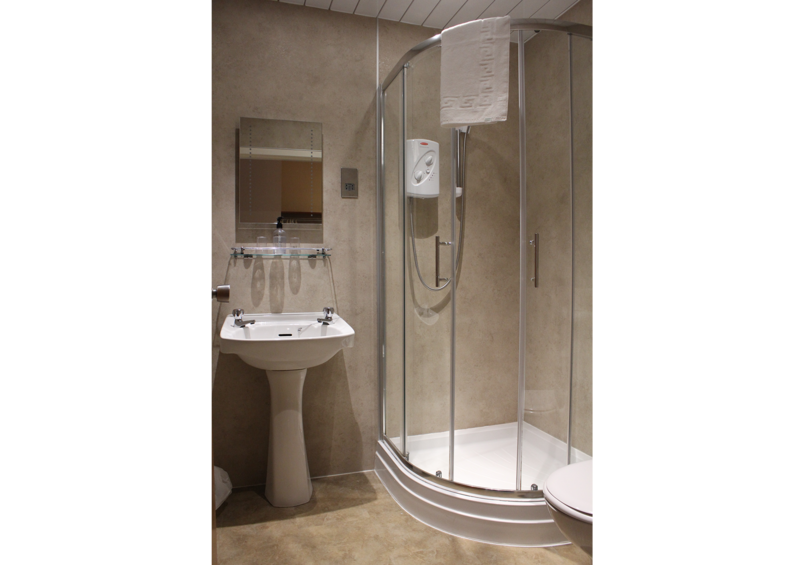 Each en suite room features Freeview TV, tea/coffee making facilites and free Wi-Fi. 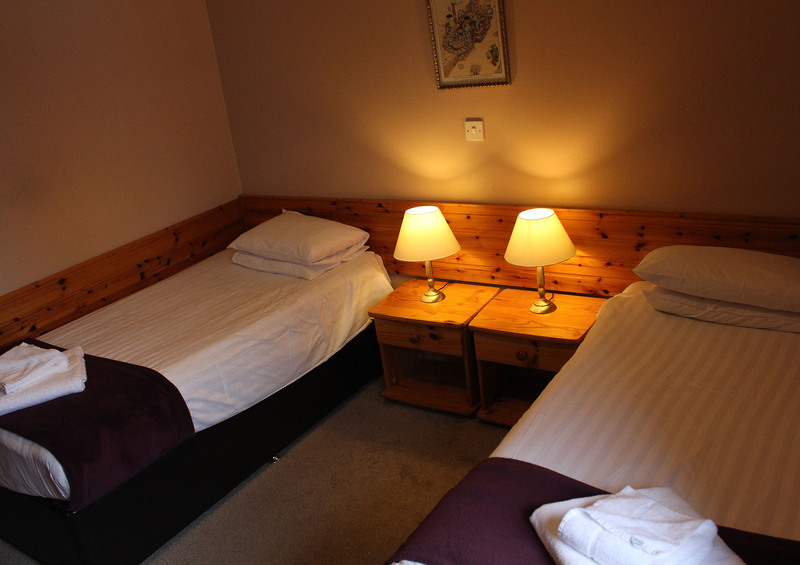 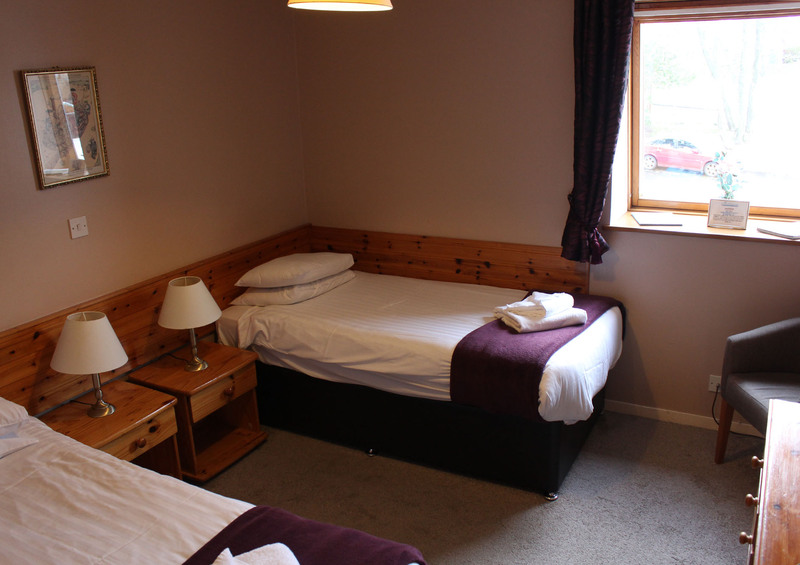 Our double rooms are designed to be as flexible as possible – so they come in different formats. 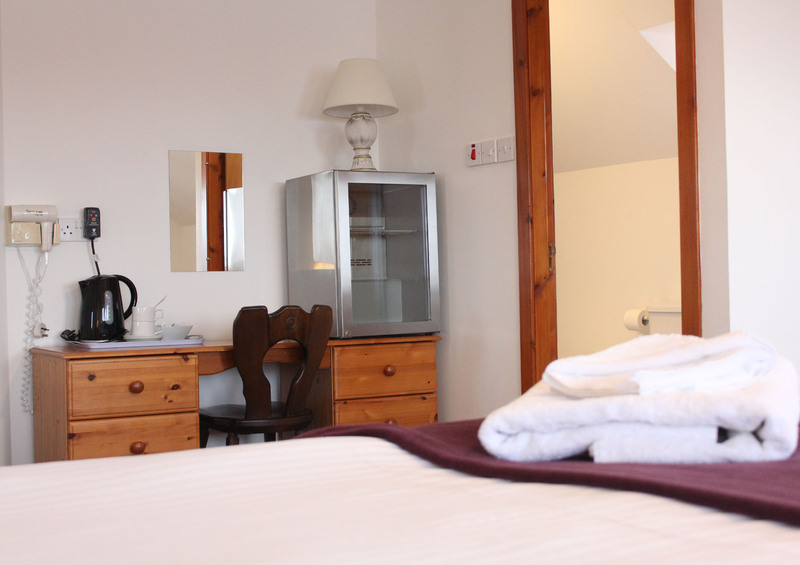 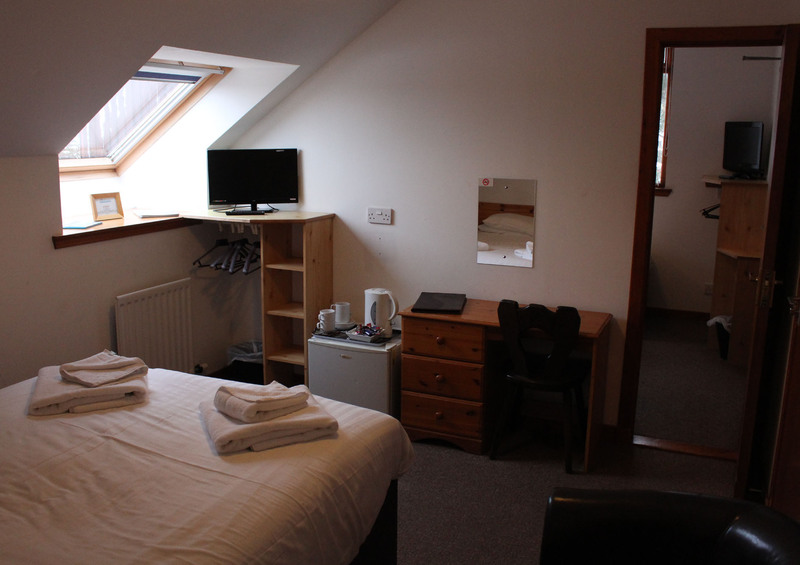 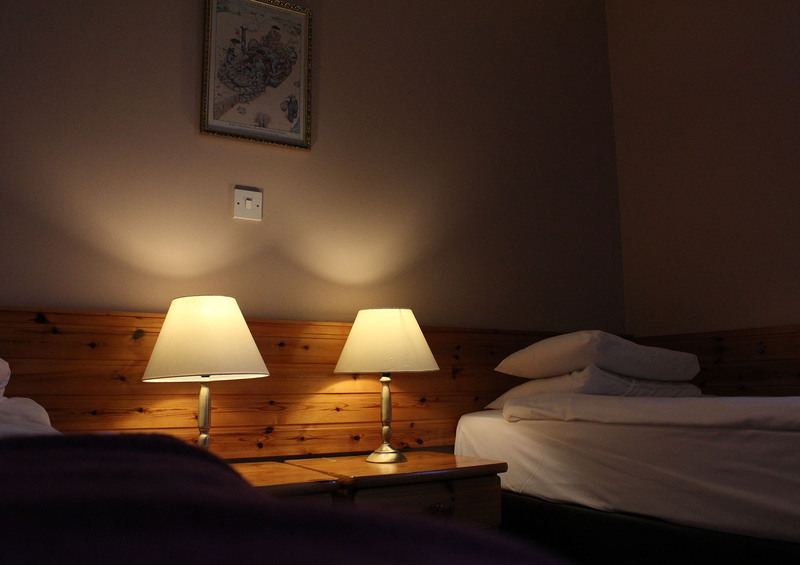 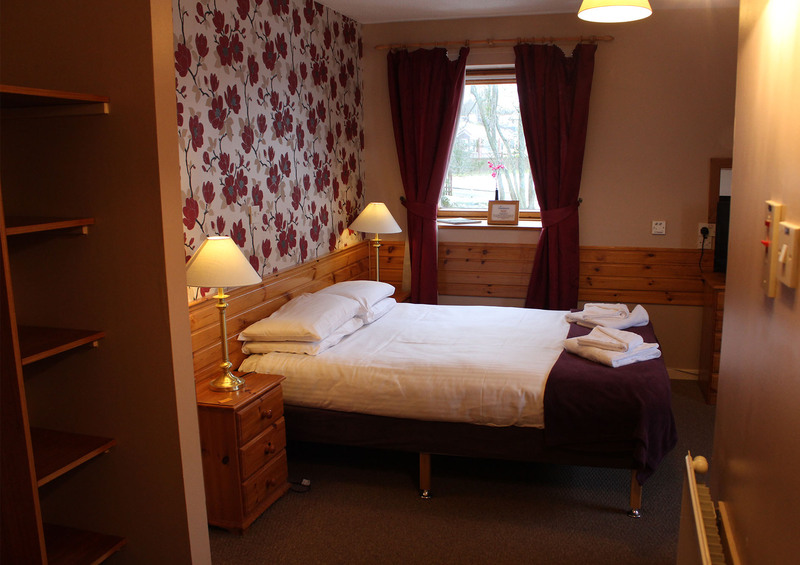 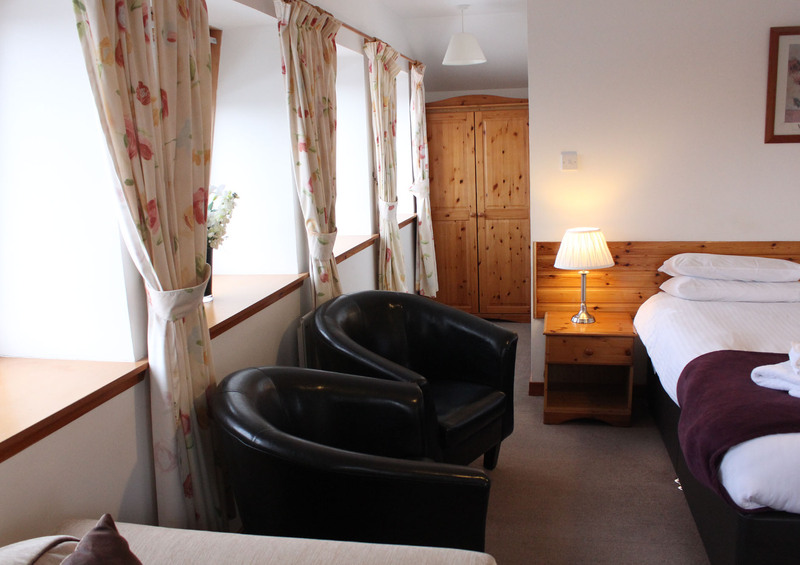 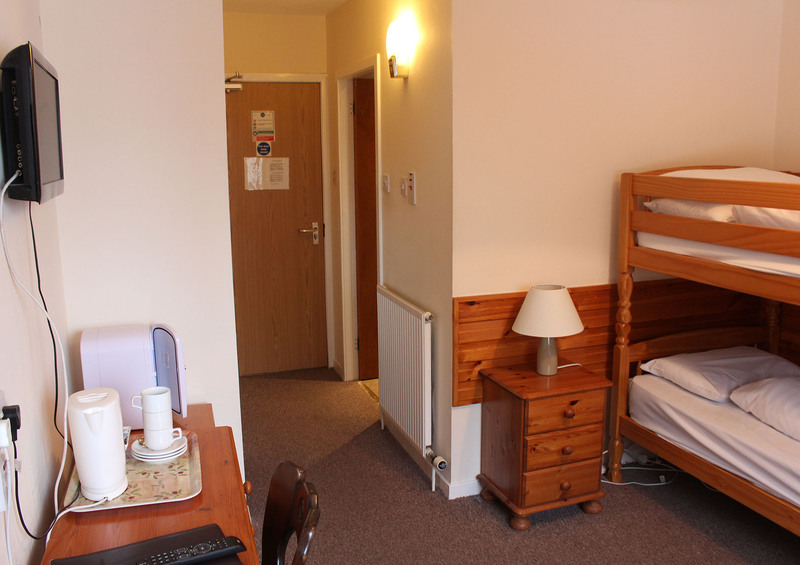 Each en suite room features super-comfy double bed, freeview TV, tea/coffee making facilites and free Wi-Fi. 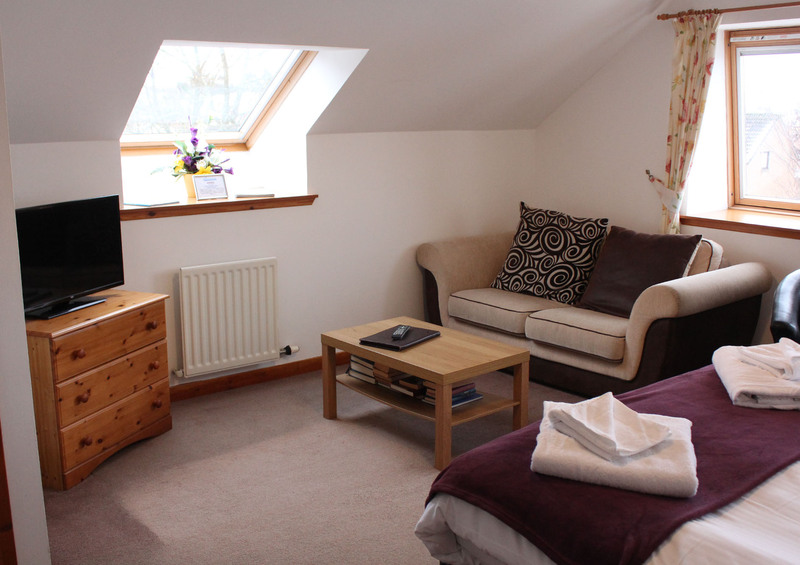 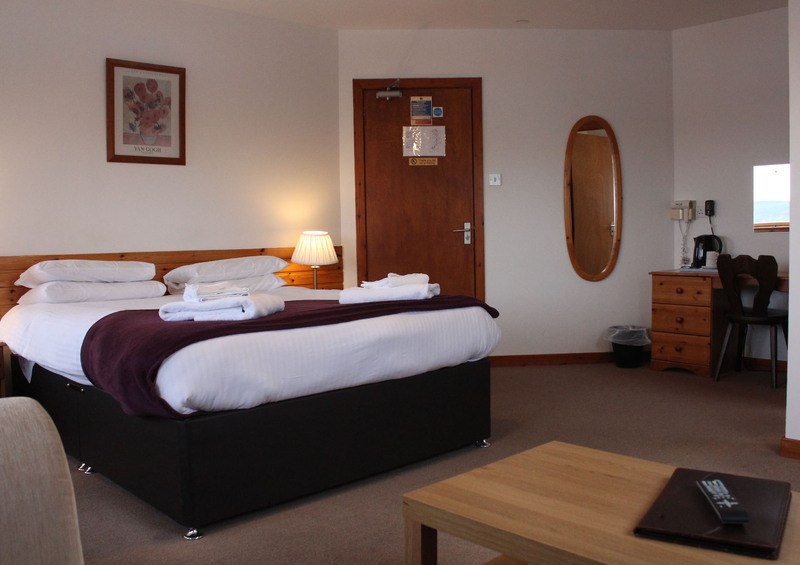 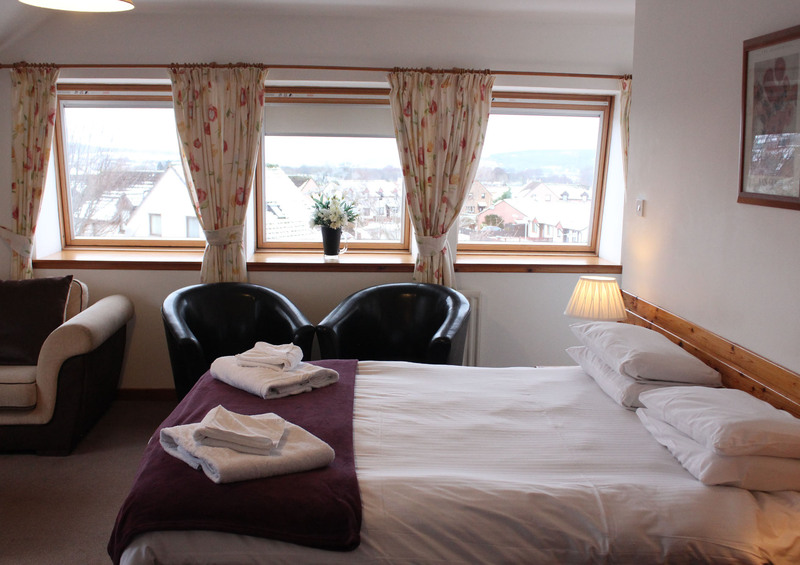 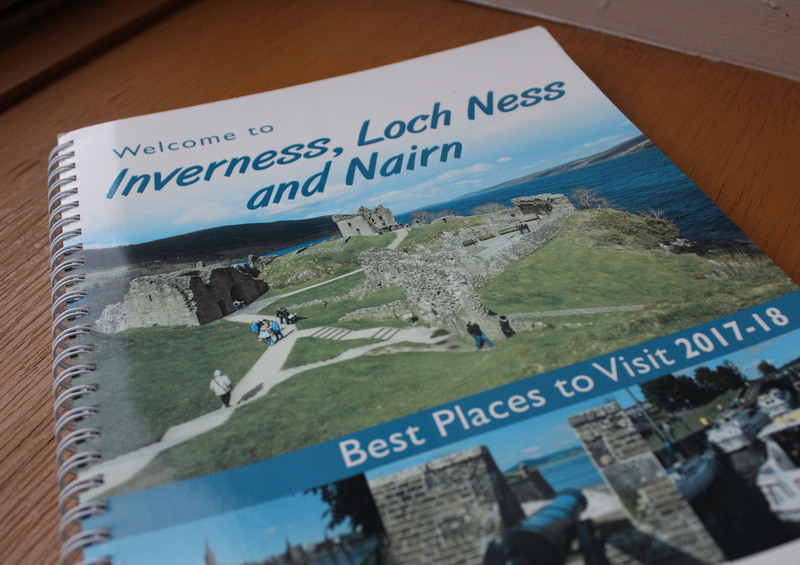 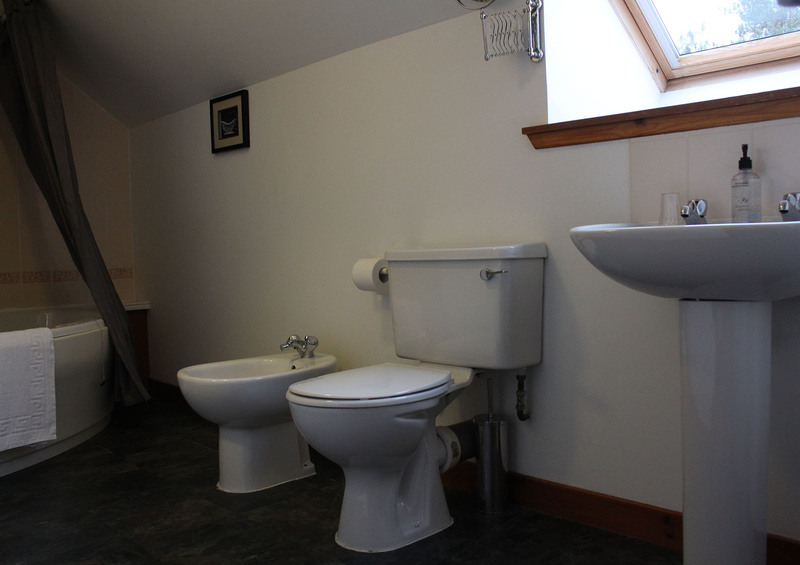 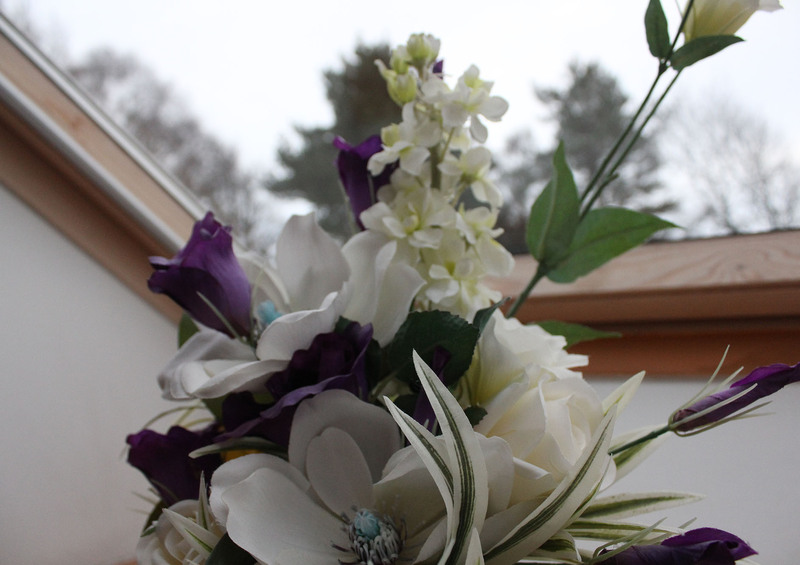 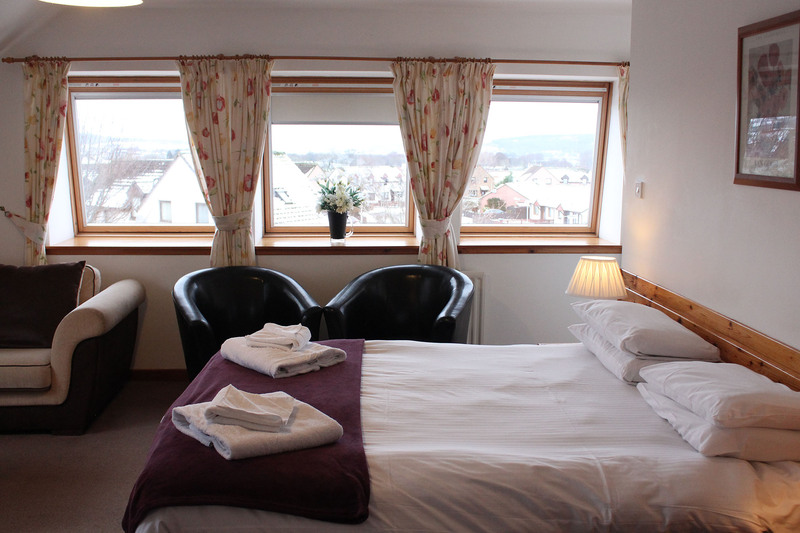 Very spacious room with a stunning view over the Moray Firth, from the wall of windows. 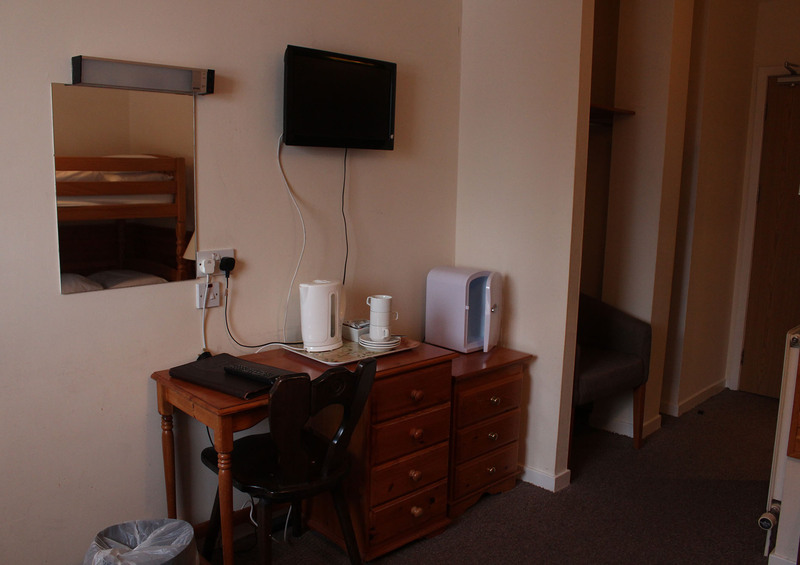 This room is on the 3rd floor, so the view is completely clear. 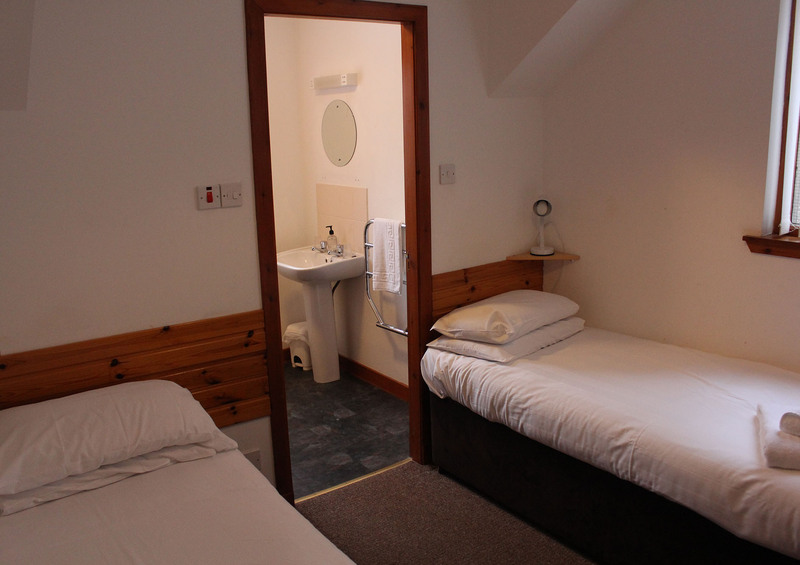 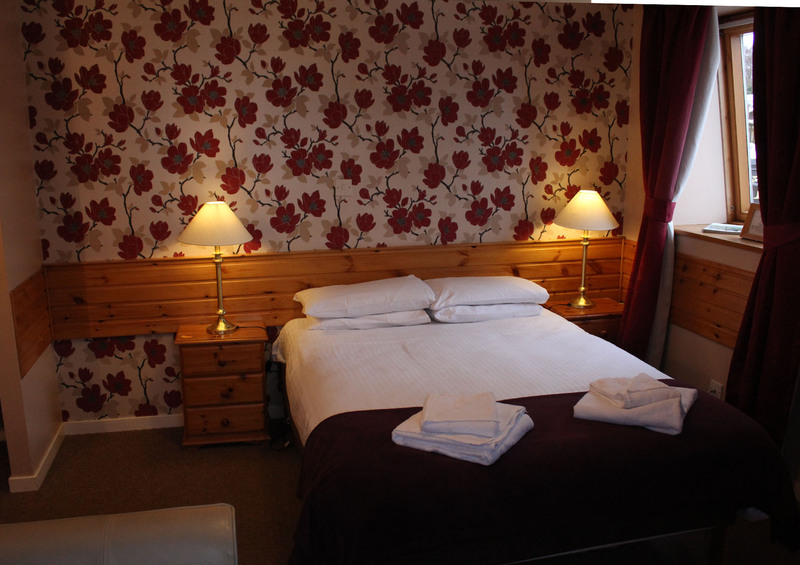 Each en suite twin room features 2 super-comfy single beds, freeview TV, tea/coffee making facilites and free Wi-Fi. 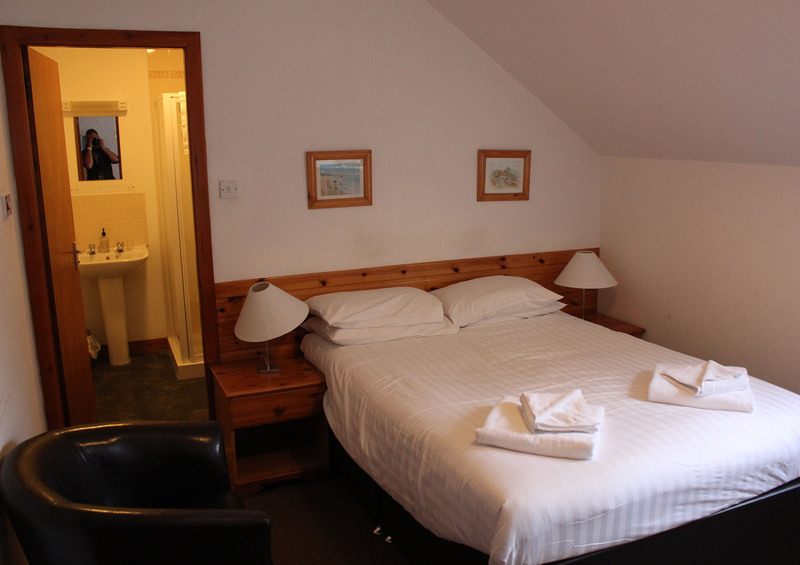 These are 2 adjoining rooms, each with its own en suite facilities. 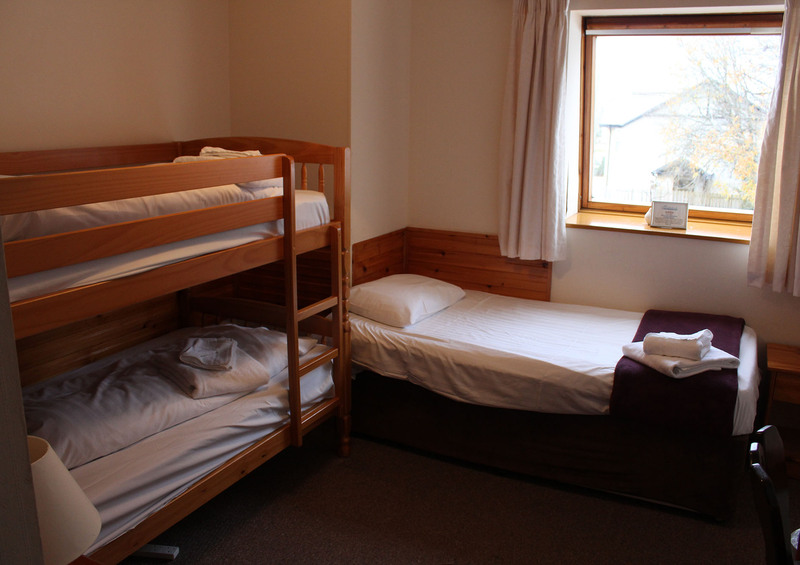 The room is suitable for 4 adults, or a family of 2 adults and 2 children.